finding the North Star in any kind of weather. Caitlin distills insights from clients, audiences, organizational context, and industry knowledge to structure the right story and creative approach to meet client needs and exceed expectations. 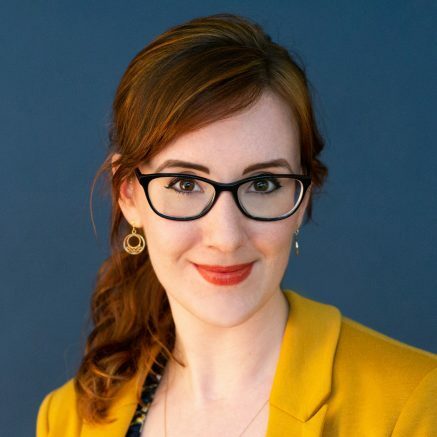 Caitlin joined AJ after serving as a communications consultant to nonprofits, including universities, schools, and brands like The Nature Conservancy, the National Park Foundation, Pheasants Forever, and the Society for Science and the Public. She received her MPhil in history from the University of Cambridge. Fun fact: Caitlin once spent time as an interpretive planner for a permanent natural history exhibition at the Kelvingrove Museum in Glasgow, Scotland. A qualitative researcher by training and a storyteller at heart, Caitlin brings a passion for getting to the bottom of the matter and crafting a narrative that inspires people to change the way they see their world.